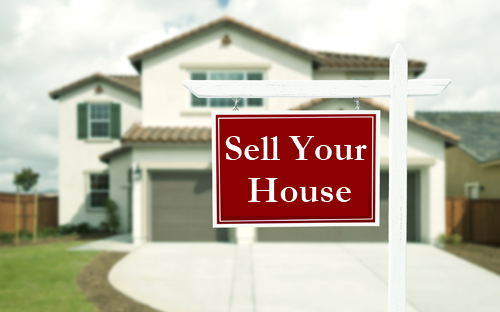 Are you asking yourself if you should sell your house? Only you can answer that question, but there are a lot of factors that can help you decide if the time is right. Are you asking yourself if you should sell your house? Only you can answer that question, but there are a lot of factors that can help you decide if the time is right. One thing to know is that many markets in the country right now are still experiencing sellers markets, so odds are in your favor that if you want to sell, you’ll sell quickly. Obviously, deciding to sell your house isn’t always dependent on market conditions. There are many personal reasons why you might want to sell and why you might not want to sell. Current interest rates are 4.75% for a 30-year fixed rate mortgage. While that rate is a little higher than it’s been in previous years, mortgage rates might rise to rise to 5% in 2019. Even though increasing mortgage rates are a sign of a good economy, those increasing interest rates can shut some potential buyers out of the market. Lower interest rates not only make it easier for you to finance, they make it easy for more buyers to afford a home. Equity is the value of your home less what you owe on your home. If you’ve been in your home for any length of time, you’ve likely built up some equity. Selling your home for a great price and cashing out all that equity can give you a great beginning in a new home. If you have enough to pay down at least 20% on your new home, you’ll avoid private mortgage insurance and that will save you hundreds of dollars a year. You might even have enough to cover moving expenses and closing costs, or to pay more than 20% down. Pull out a current mortgage statement to see what you owe on your home. Then contact a local lender and ask them to run a comparative market analysis on your house. It’s free, and it’s a fairly accurate estimation of what your home is worth. Once you have that number, subtract your mortgage balance to find out what equity you’re going to have. There’s many reasons to sell your house. Maybe your family is growing and you need a bigger home. Or maybe you’re an empty-nester who needs a smaller house. Jobs change, parents get older, kids go off to college or get married and move away from you. If you’re feeling life changes coming your way, it may be time to think about selling. Eager homebuyers have been struggling to find homes in many parts of the country for years now. Spring and summer have traditionally been the seasons when buyers were looking for homes. That’s changed substantially over the last few years, with buyers scouring real estate ads all through the year looking for a chance to jump into a home. Eugene and Lane County have been experiencing a housing shortage and affordable homes are becoming fewer and further between in recent years. If you’re thinking it’s time to sell your house, now’s the time.